Ever since he was a young chef in his early 20s, Michimasa Nakamura has wanted to shake things up in the world of sushi. Although he cherished its craftsmanship and traditions, he felt constrained by the field’s conservative way of thinking, especially in Japan, where trainees are taught to follow rules without question. “The (Japanese) sushi world is small. It’s basically fish, rice and soy sauce — that’s it,” Nakamura observes. “I felt that if I didn’t try to do something different, the (industry) would never change.” The only problem was that he wasn’t sure what to do. 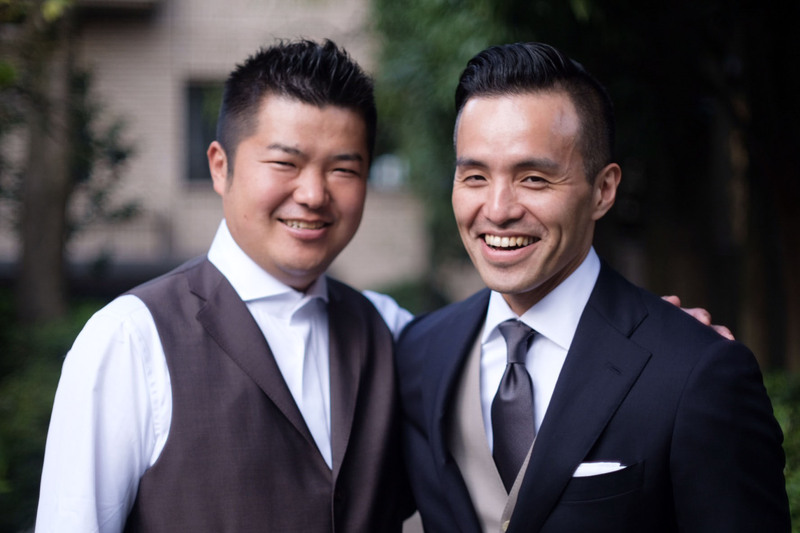 An idea began to take shape after striking up a friendship with sommelier Yoshinobu Kimura, who managed the wine and sake program at two-Michelin-starred restaurant Narisawa in Tokyo. For fun, Kimura began suggesting pairings for Nakamura’s sushi, often bringing in bottles of red Burgundy or aged sake from his private collection to try together. “The way we think about food and wine is symbiotic,” Kimura says, recalling informal tasting sessions at Sushi Shin on Sunday afternoons. Like Nakamura, Kimura has a restless spirit. As a high school student, Kimura dreamed of working in New York. 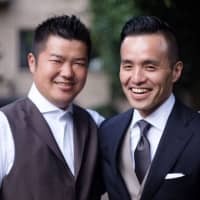 He had always been attracted to the hospitality industry and, after earning a degree in restaurant management at Johnson & Wales University, he became a sommelier at the New York restaurant Megu. After a few years, Kimura returned to Tokyo and worked at Narisawa, where he rose to the position of head sommelier over the course of his 10-year tenure. Two years ago, Nakamura approached Kimura about rolling out a new restaurant concept that would present sushi in an unconventional way — matched with superpremium wines and sake in the same manner that beverage pairings are offered at restaurants serving non-Japanese cuisine. At first, Kimura was hesitant. It’s rare to find sommeliers at sushi restaurants, where even high-end establishments may stock only a few varieties of sake and wine. “There’s no tradition of serving sushi with wine. It’s seen as something from French culture. Even with sake, to most Japanese people it seems ridiculous to pair each piece with a different brew,” he explains. After considering the proposition, he told Nakamura, “Let’s do it.” The two started drafting plans for their new restaurant, Sushi M, which opened in Tokyo’s Aoyama district on April 3. 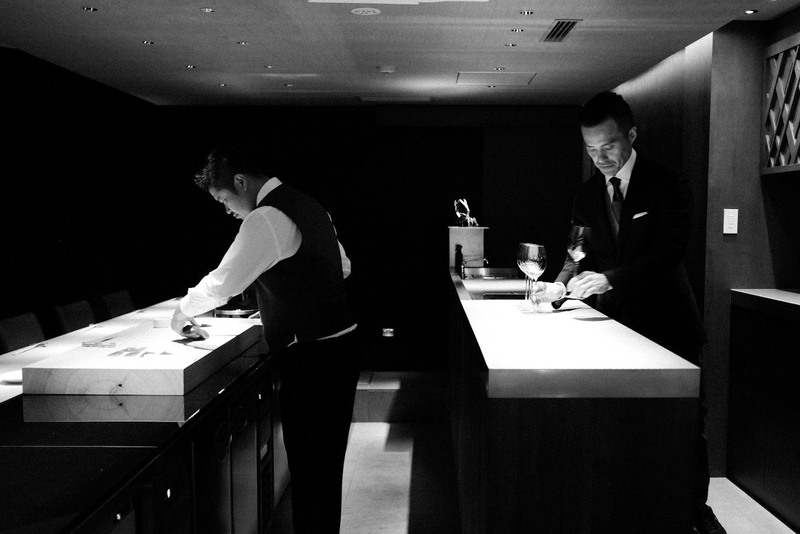 Kimura’s approach to beverage service at Sushi M represents the synthesis of all his experience in fine dining. Before opening, he traveled extensively through Europe and Japan to source exclusive bottles from makers such as Champagne producer Jacques Selosse and Mukai Shuzo sake brewery for the restaurant’s 400-bottle wine cellar and special sake refrigerator, which is designed to keep brews between minus 11 and minus 15 degrees Celsius. Because pairing is Sushi M’s central concept, Kimura has his own drinks station behind Nakamura’s sushi counter, where guests can watch him at work. 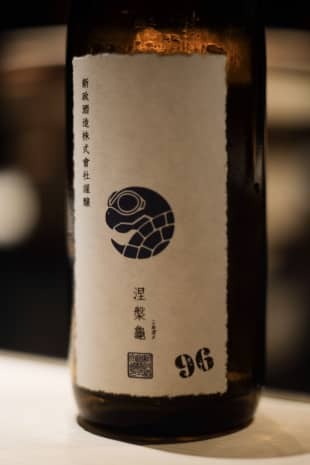 When I visit the restaurant, dinner begins with a glass of Nirugame 96, a rare sake from Aramasa Shuzo. I’ve never seen this brew before, and it is intriguing — elegant and seductively textured with hints of lemon meringue pie. 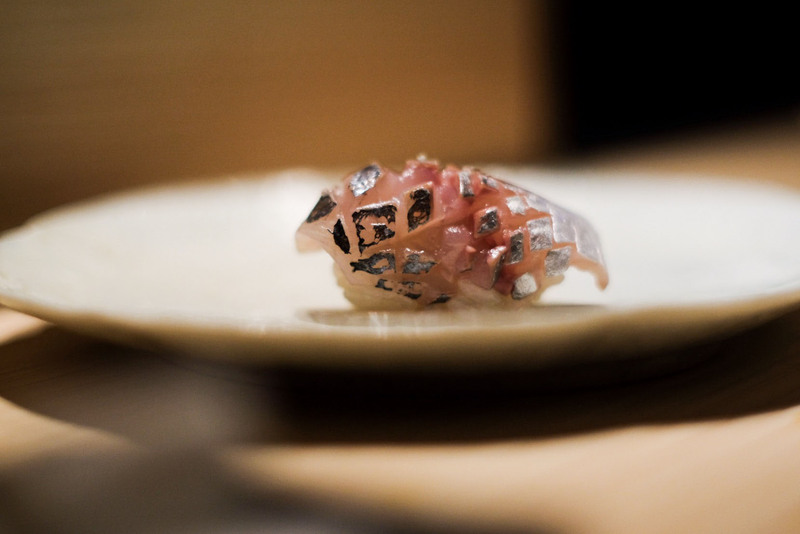 As I sip, Nakamura constructs a piece of nigiri piled with delicate threads of squid, which he presents in the palm of his hand. The act of passing sushi from hand to hand, he says, is part of the tactile “communication loop” that is fundamental to his take on the sushi experience. The fish “speaks” to him through his fingers, and his role as a chef is to use techniques that bring out the full expression of its natural flavor. The aim is to “transmit a message” to the guests — like a bard interpreting music from a Braille score. The pairing is extraordinary, complementing both the sweetness of the squid and its slippery, tensile texture. This surprising opening gambit sets the tone for the rest of the meal, a mix of sushi and otsumami small plates, a new drink pairing with every two to three dishes. Throughout the evening, Nakamura and Kimura take cues from each other like jazz musicians riffing on a theme. Rose-tinted Ine Mankai sake, made with heirloom red rice, matches bonito aged for three days and dotted with pinot noir mustard. To accompany a Sushi M-exclusive mineral-laced brew, aged for 19 years, from Akishika Shuzo, Nakamura brushes fatty tuna with a liquid extract painstakingly derived from miso paste instead of soy sauce. Each course exhibits impressive synergy. “I’ve wanted to do this for a long time,” Nakamura tells me later. “But without the right partner, it’s impossible.” In Kimura, he’s found the perfect pairing. For more information on Sushi M, visit sushi-m.com.